I don’t know about you, but while I have an appreciation for all the seasons, Winter is my least favorite. For some, Winter is about making snow men or snow angels. Having snow ball fights and generally enjoying the initial first snows when it’s pure and settled like a blanket covering the ground. For me Winter is a bitterly cold season where nothing grows, people tend to get sick and pass colds, and you don’t dare want to be caught outside with the wind chill unprepared. Even with layers and scarfs, gloves, and hat on I still am reminded of how harsh Winter can be. Yet for all that I do find the silver lining in Winter. The cold makes me hungry and a hot comfort food usually helps ease the tensions in my face from it being twisted up while enduring a face full of cold gusts of wind chilled air for however long I have to be outdoors. 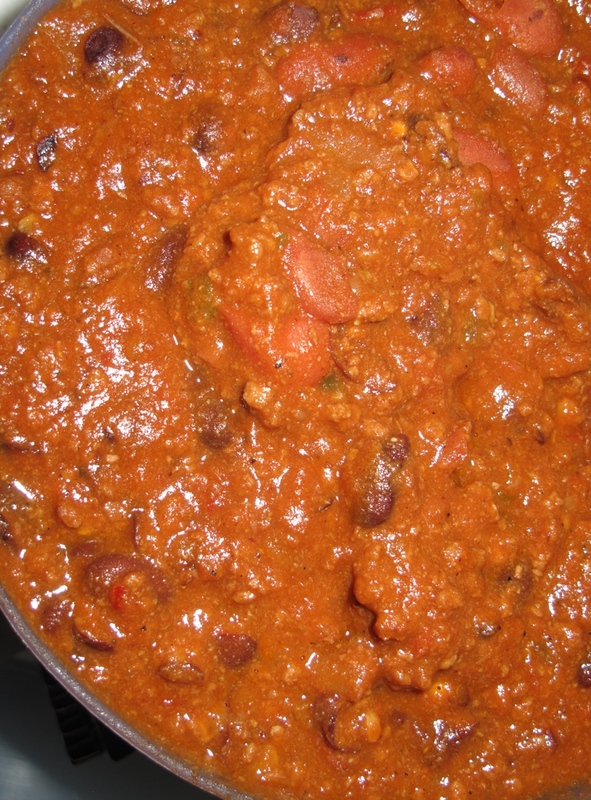 A steaming bowl of hot chili I find is an excellent comfort food to eat during the Winter months. It’s hearty, it’s spicy and can make you have to go to the bathroom. LOL. I enjoyed this with a piece of Dhal Puri. Oh my goodness!!! Below are some images of the meal. The Dhal Puri rolled up next to a hot bowl of chili. And now for the closeups. If you only knew hot good this tastes! If you do, congrats and Amen!! 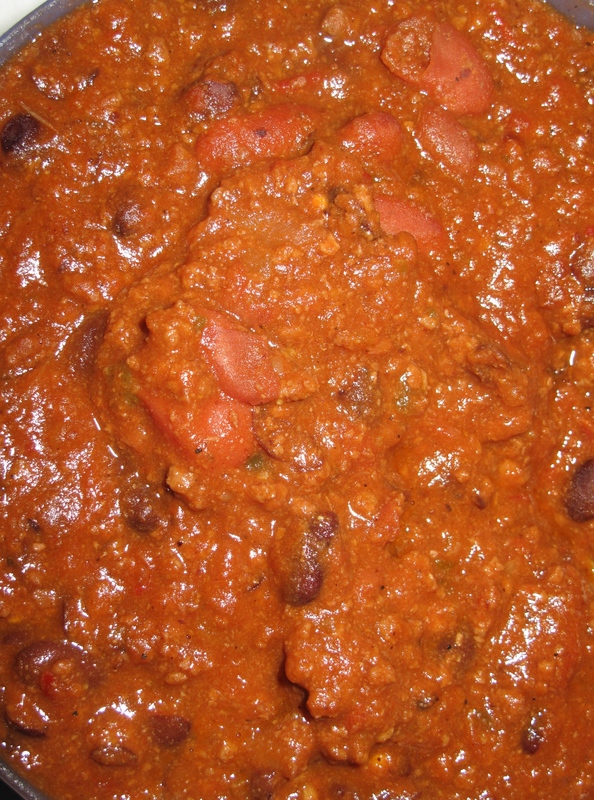 In closing here’s a closeup of the chili. This combination will be a hit no matter who you are. 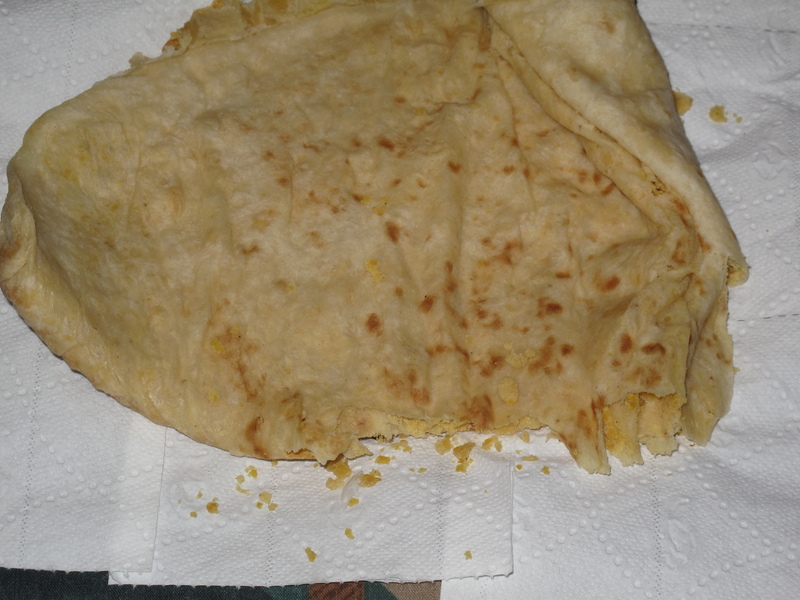 I don’t know how to make Dhal Puri so it was purchased from an Indian restaurant for a few bucks. 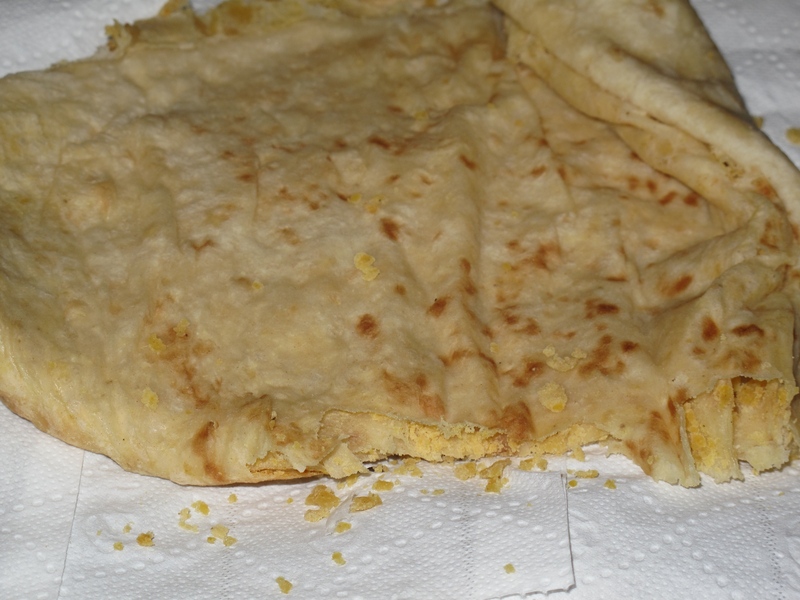 The crumbles of the dhal inside the roti were just amazing tasting crumbly morsels that accentuated the flavor of the roti. I wish I knew how to make it at home. Dipped in the chili all that flavor and spice and then the Dhal. Mmm mmmm!!!! Just incredible. 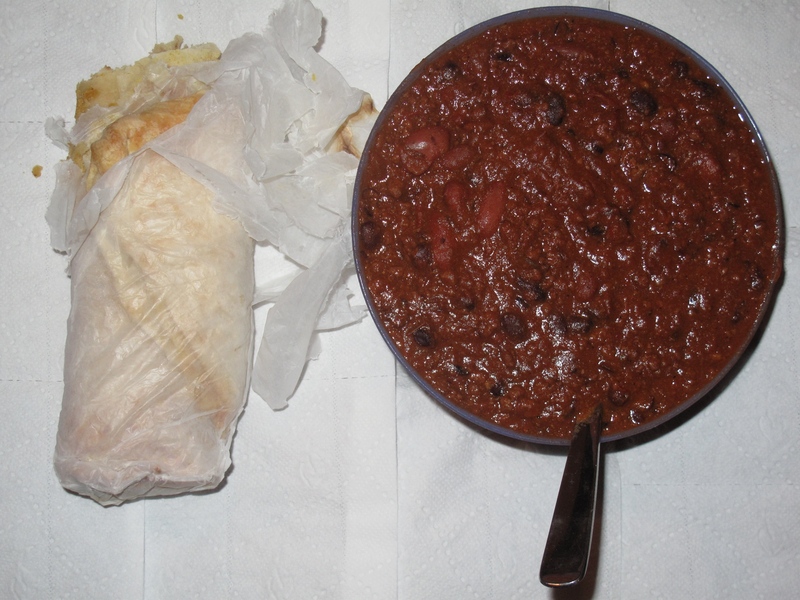 I do find homemade chili to usually win out versus chili’s I’ve had that were either store bought or restaurant bought. 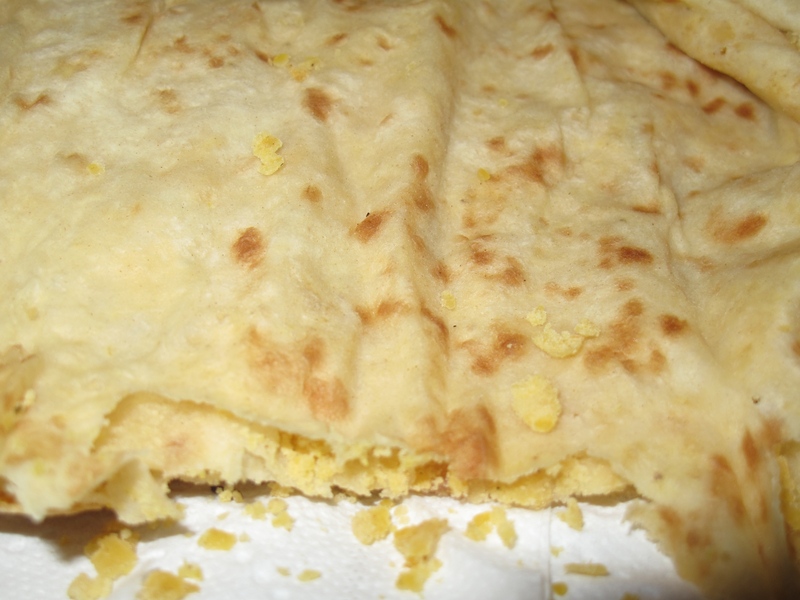 That being said, no matter whether you cook it yourself or it’s store bought, a good bowl of hot chili and cornbread or in this instance, Dhal Puri Roti on a cold winter day makes things just a little bit better.